Hey everyone! It’s Kara from A Kailo Chic Life. I am currently loving the tassel trend, so when I was given an open choice for my blog post this month, I knew just what I wanted to try. JOANN Fabric and Craft Stores currently have the cutest dipped baskets and while I love them as-is I knew a few added tassels would turn one into an awesome planter basket. 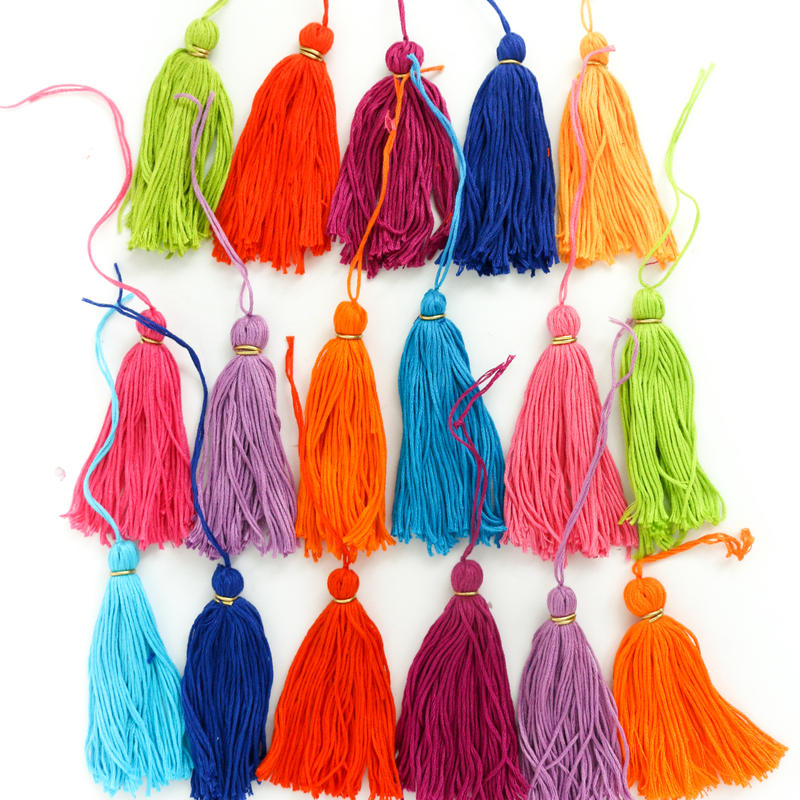 The tassels are so easy to make, you can finish this whole tutorial in about an hour! First up: making the tassels! 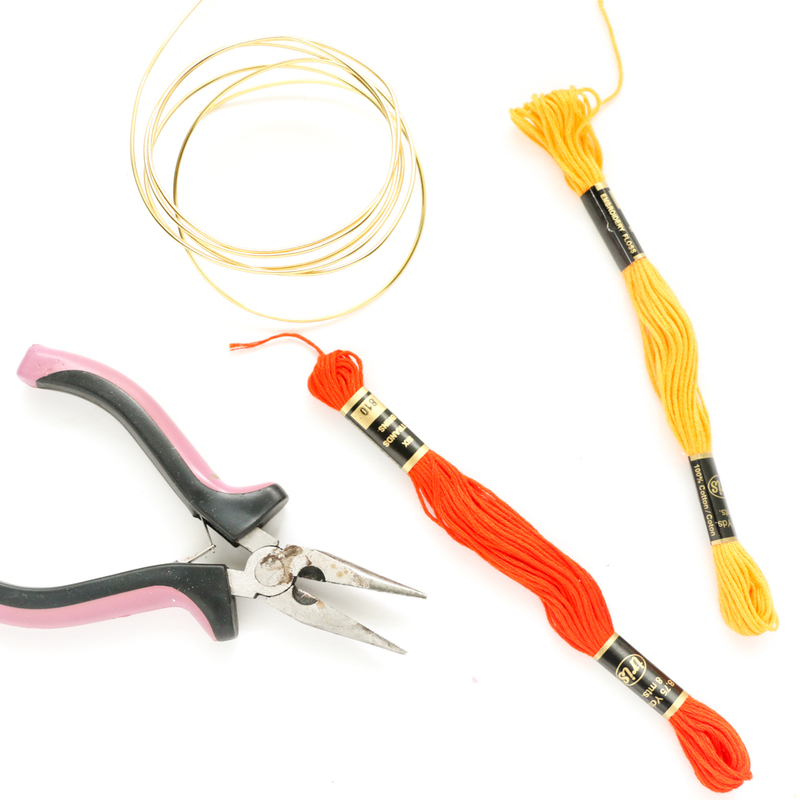 Using embroidery floss makes the whole process pretty simple. 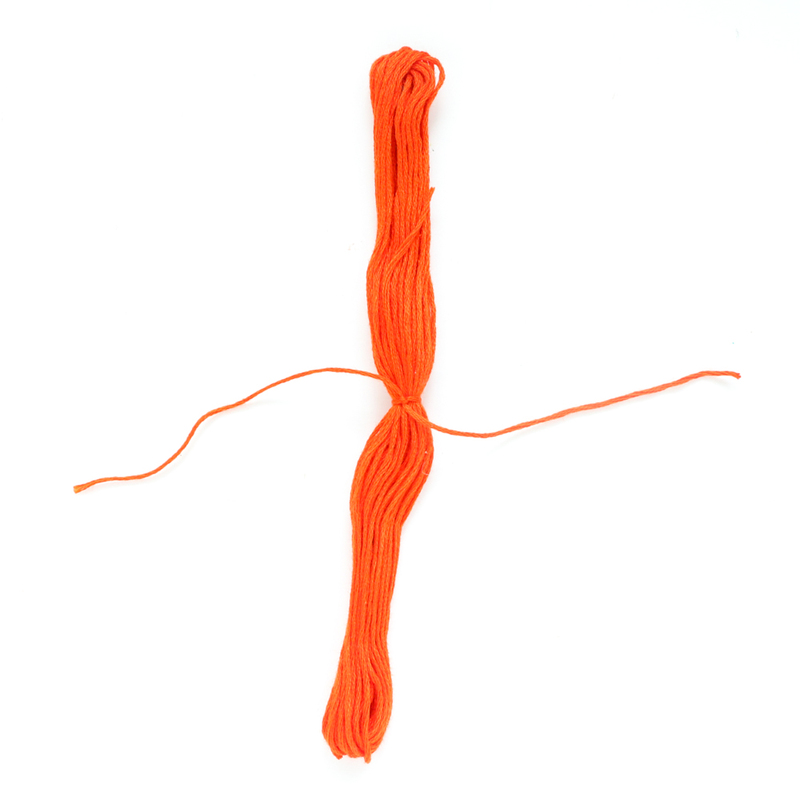 Remove the paper from the floss, then cut off a 6″ long piece from one end and tie this around the center of the looped embroidery floss. 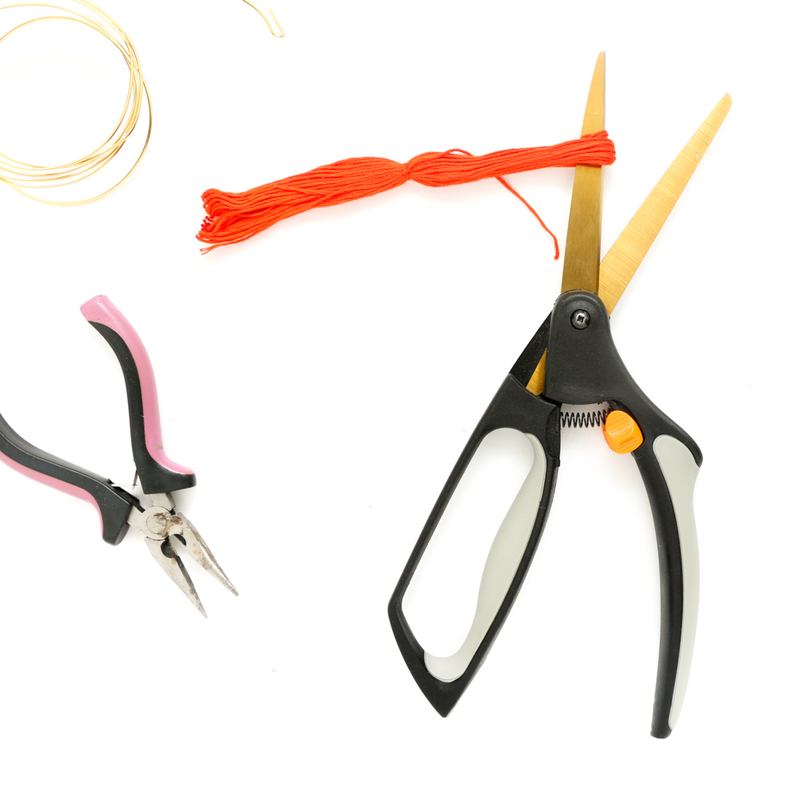 Use your scissors to cut through the loops on each end of the embroidery floss. The final step is to wrap the top about 1/4″ below the tie. I wanted a gold accent, so I used jump rings to wrap around the tassel. Make sure you pinch and secure the jump rings around the tassel so they won’t slip off. Now just repeat, repeat, repeat…. Once you have all your tassels done, thread the tie piece through the basket and secure by gluing the tie to the basket on the inside. 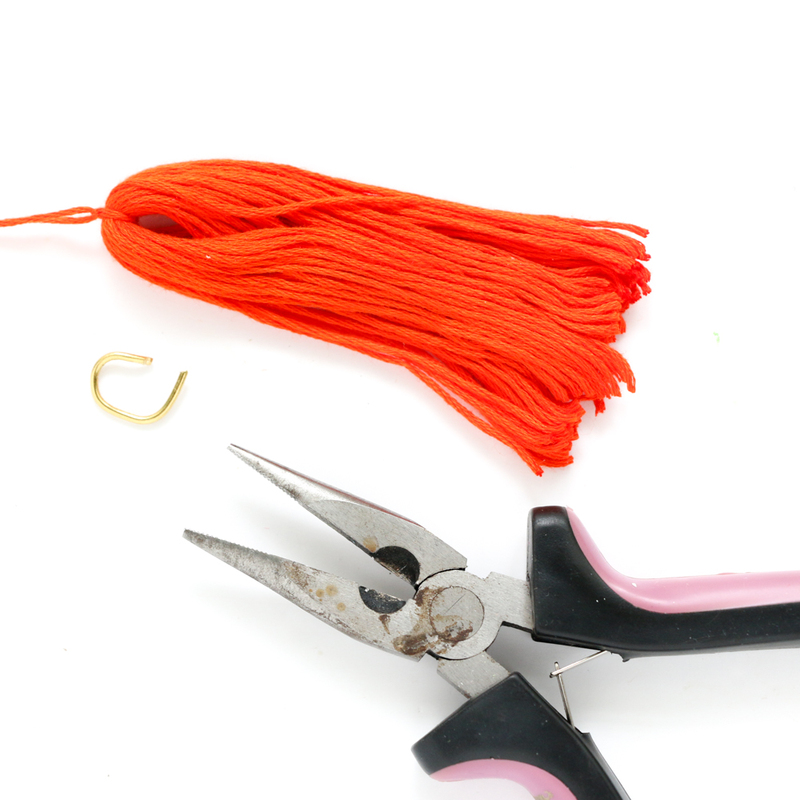 Work your way around the basket gluing the tassels on about 1/2″ apart. Then place your water collecting dish and planter inside. It’s a hot, fresh planter! Hope you enjoyed this tutorial! 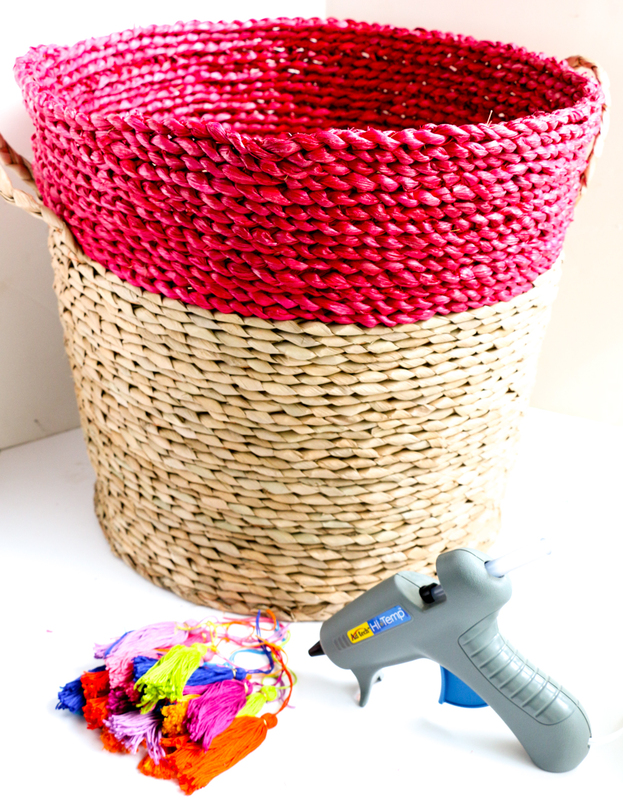 If you are interested in even more colorful craft and DIY ideas, be sure to head on over to A Kailo Chic Life. 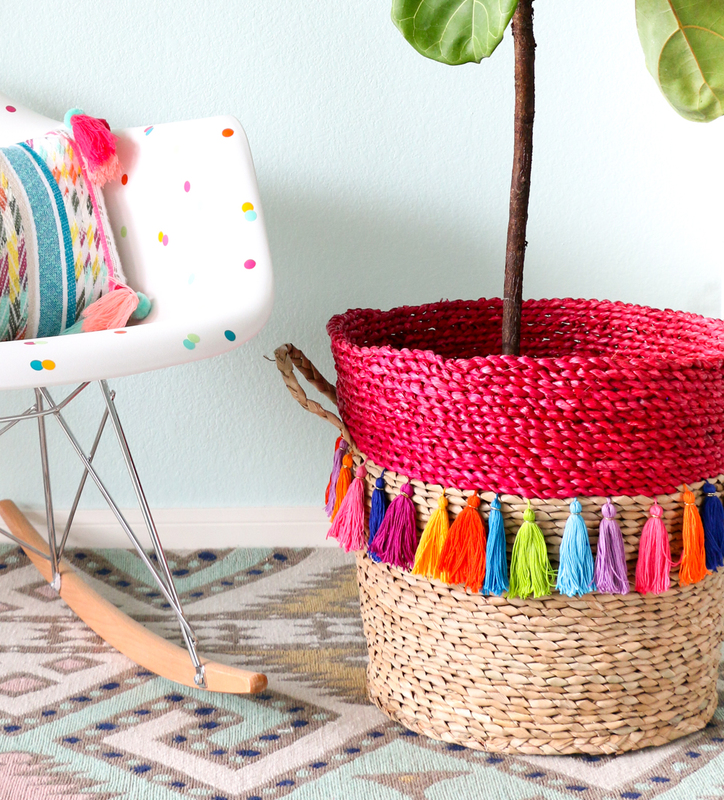 Brighten up any room with this cute basket planter with tassels! 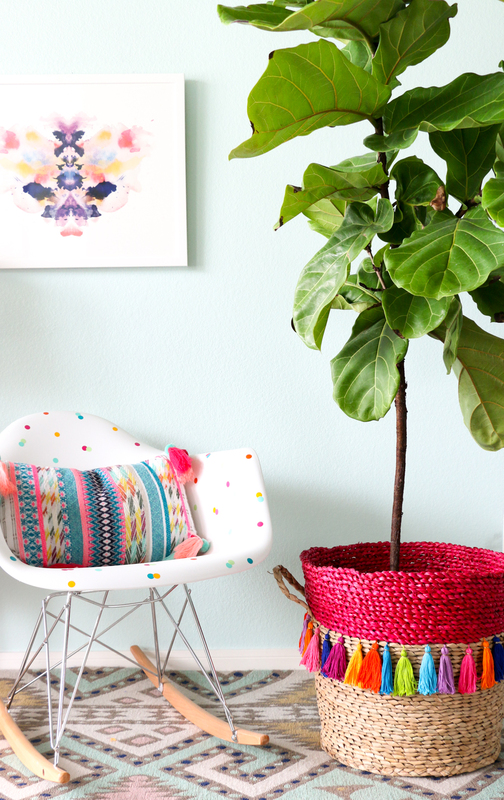 Follow these simple instructions to turn a basket into a planter in less than 1 hour!